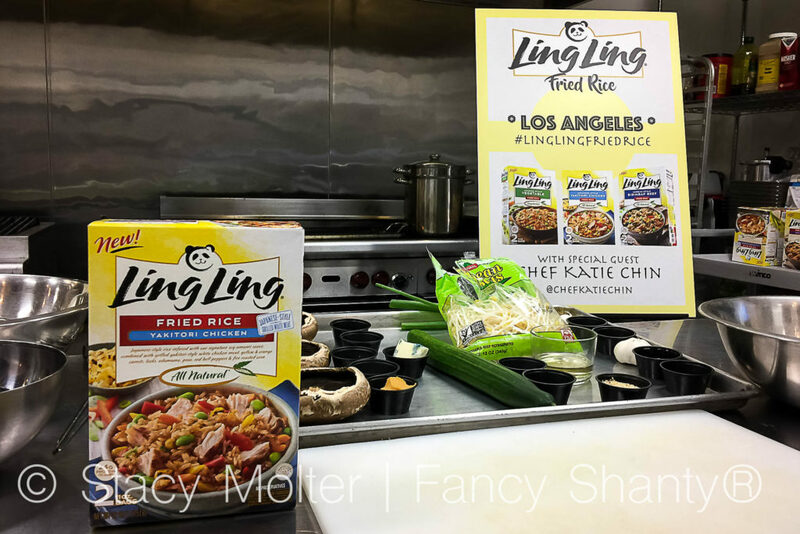 Last week, I had the amazing opportunity to attend a cooking event with Chef Katie Chen celebrating the release of the new Ling Ling Fried Rice product line. 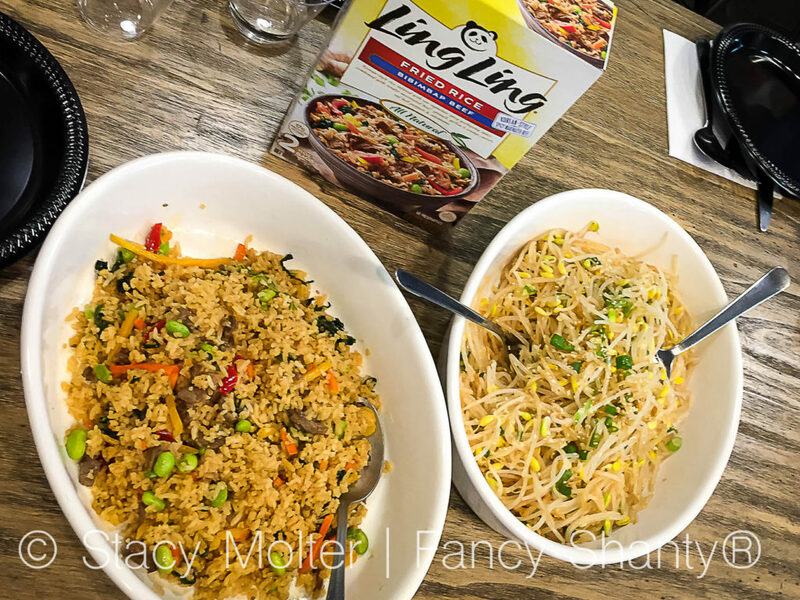 At the event we laughed, we cooked, and we drank as we learned how to make three delicious healthy Asian recipes to pair with Ling Ling Fried Rice. 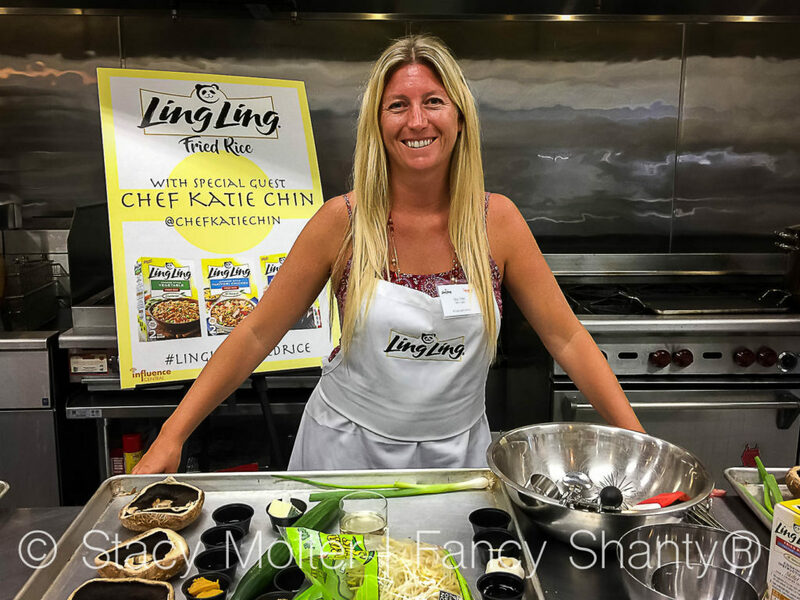 These recipes created by Chef Katie Chin, Japanese Cucumber Salad, Marinated Soy Bean Sprouts (Kongnamool), and our favorite Miso Butter Portobello Mushroom Skewers, are sure to wow your family next time you serve them with Ling Ling Fried Rice. 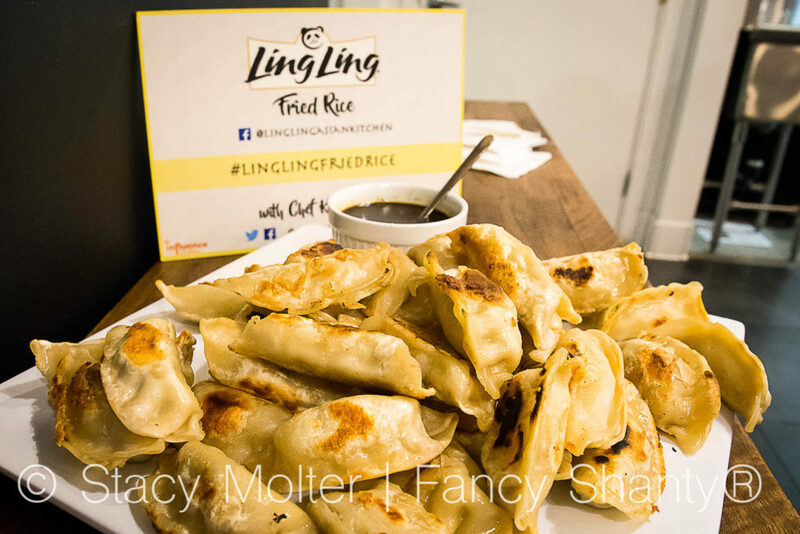 Ling Ling Pot Stickers have been a favorite finger food for families across the US for over 30 years, which is why we were so excited to hear our favorite Asian Kitchen was coming out with a new line of fried rice, Ling Ling Fried Rice available in five delicious Asian inspired flavors. 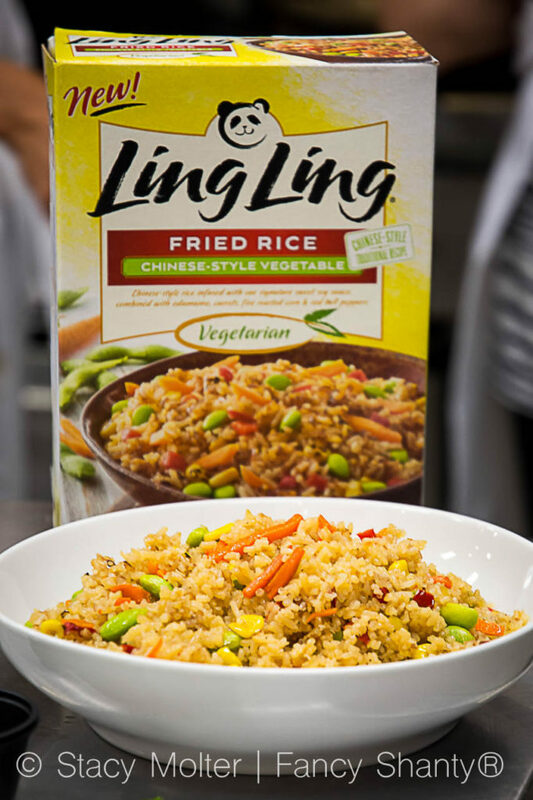 Ling Ling Fried Rice, now available at stores nationwide, makes it easy to enjoy a flavorful, crispy fried rice dish at home in just minutes, bursting with the incredible flavors from Japan, China, Korea, and Thailand. 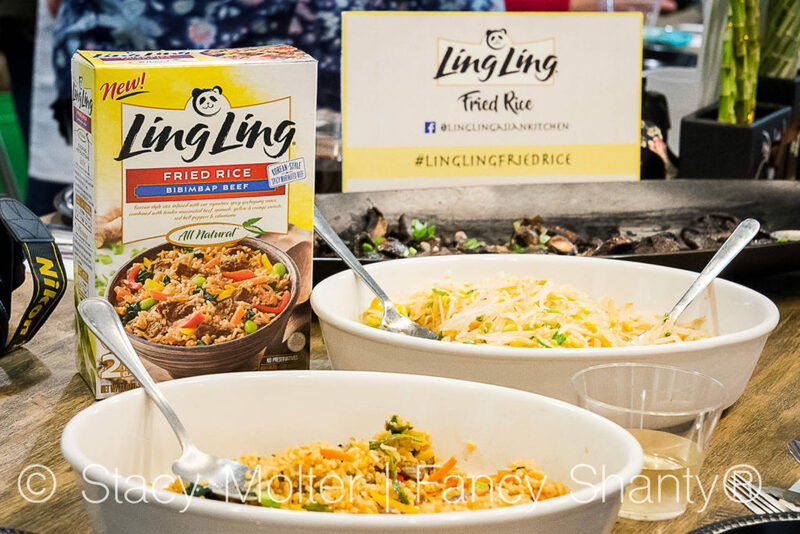 Each of the recipes we created at the Ling Ling Fried Rice event with Chef Katie Chin, complimented the well-known Asian flavors found in Ling Ling Fried Rice, and all the recipes can be easily created in 30 minutes or less giving your family a tasty dinner option even on the busiest of nights. 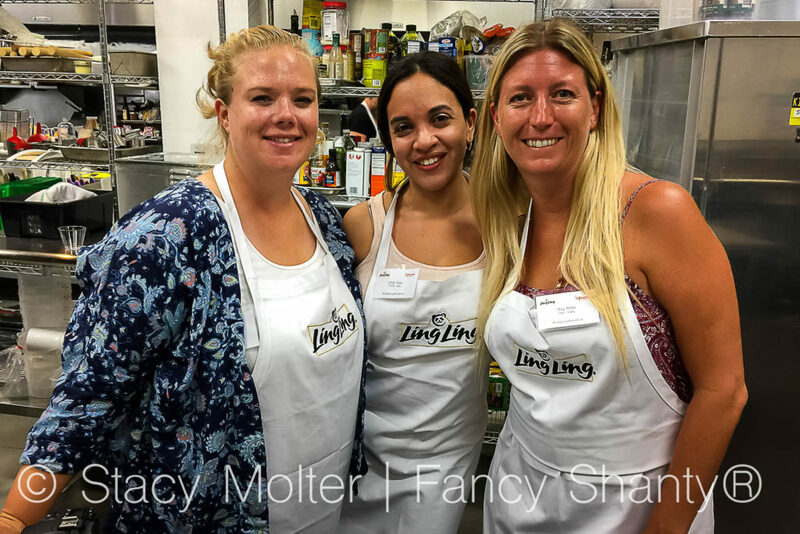 Before we began cooking we broke up into three groups and I could believe I was paired with two of my bestest So Cal blogging buddies, Desiree and Caryn! 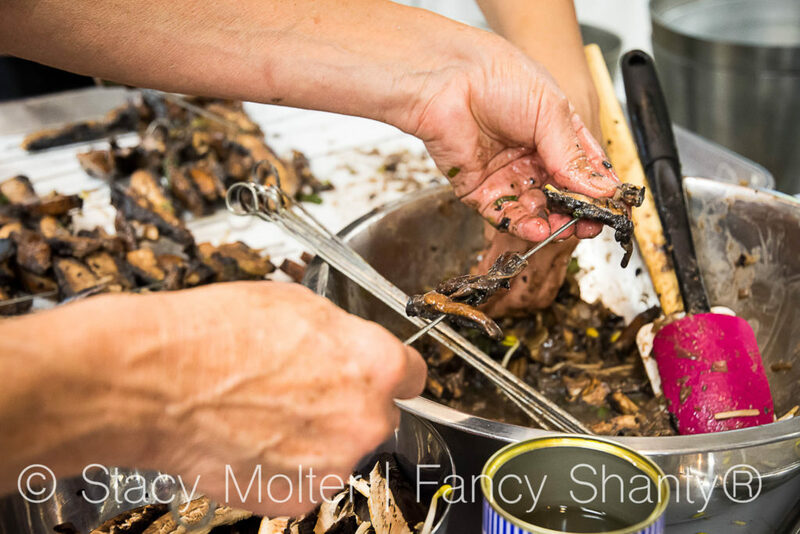 Nothing is more fun than cooking with friends, and these three recipes are definitely ones you can easily recreate at your own Asian dinner party at home. 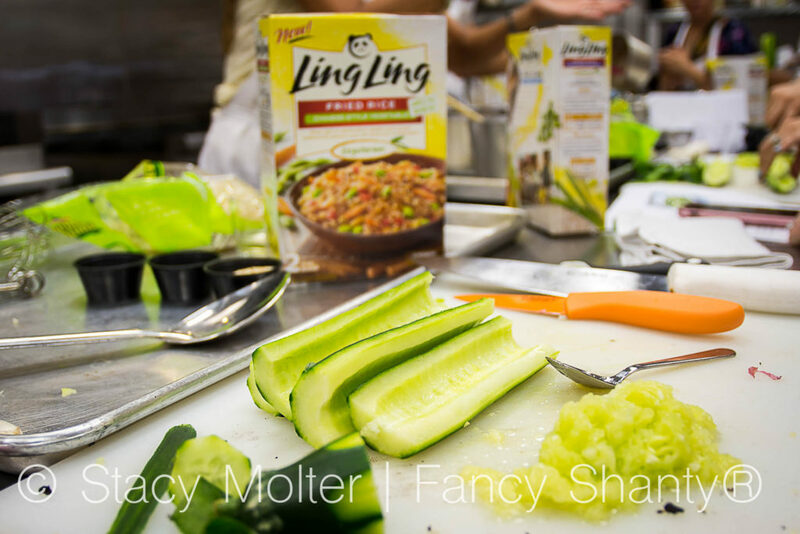 The first recipe we created was the Japanese Cucumber Salad. 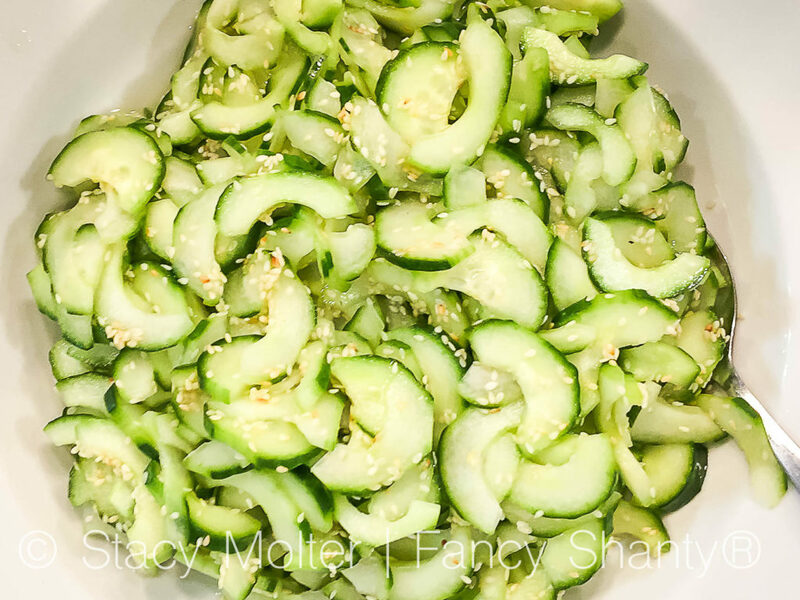 With just 5 common ingredients: a large English cucumber, 1/4 cup rice vinegar, 1 tsp sugar, 1/4 teaspoon salt, and 2 tbsp toasted sesame seeds, this recipe is sure to be a crowd pleaser. Simply peel the cucumber to leave alternating green stripes, half lengthwise, scrape out the seeds, thinly slice, and place on a paper towel to remove any excess moisture. Then, combine vinegar, sugar, and salt stirring to dissolve. Add the cucumbers and sesame seed and toss to combine. Serve immediately. 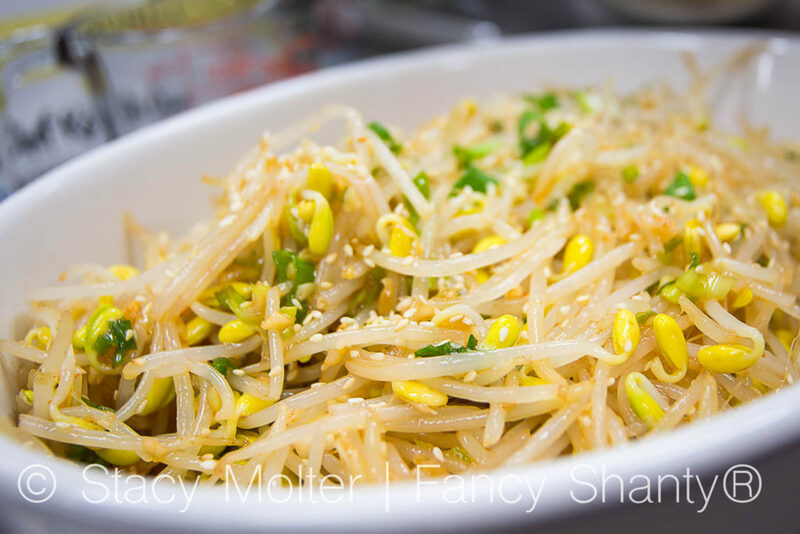 The next recipe we prepared was the Marinated Soy Bean Sprouts (Kongnamool). 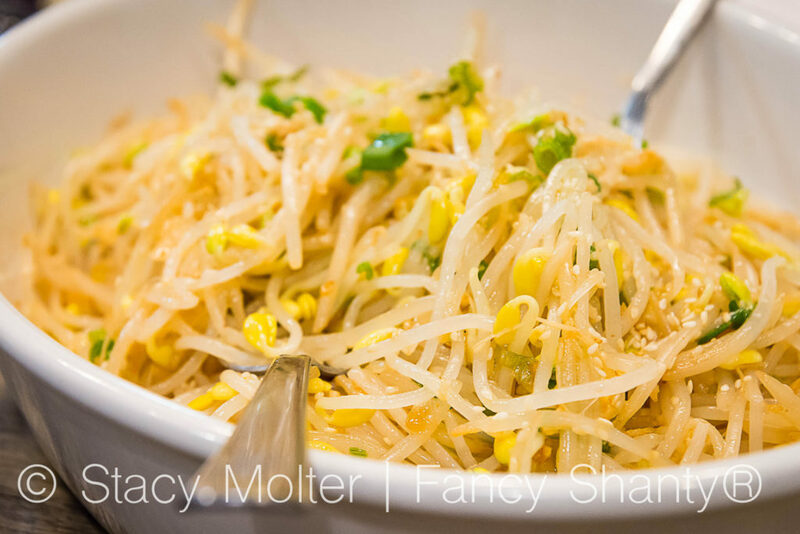 This common Korean side dish features the familiar Asian ingredients: 2 tbsp light soy sauce, 1/4 cup toasted sesame oil, 1-2 tsp Sriracha sauce, 2 minced garlic cloves, 2 tsp toasted sesame seeds, 1 1/2 tsp rice vinegar, 1 pound so bean sprouts, and 3 tbsp finely chopped green onions. 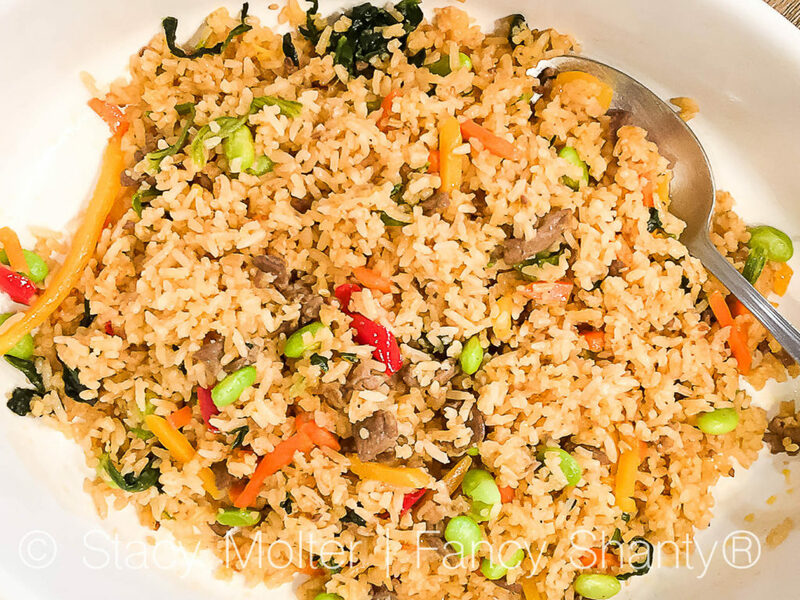 To begin the recipe, whisk the soy sauce, sesame oil, Sriracha sauce, minced garlic, sesame seeds, and rice vinegar then set aside. Bring a large pot of slightly salted water to a boil and cook the spouts uncovered for about 15 seconds until tender crisp. Quickly remove the sprouts with a strainer and immerse them in ice water until cold, approximately 5 minutes. Add the sauce and toss to coat. 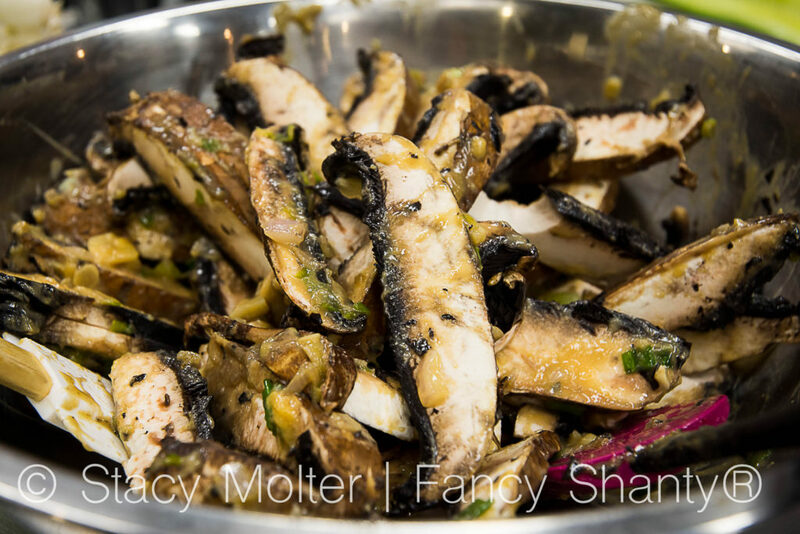 Finally, our favorite recipe of the night was the Miso Butter Portobello Mushroom Skewers! Yum! 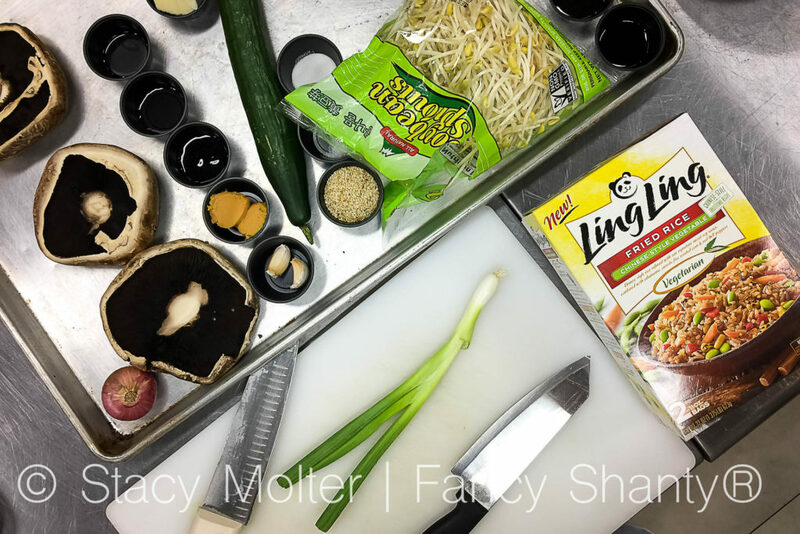 In addition to the ingredients: 2 tbsp butter, 2 minced garlic cloves, 1 tbsp minced shallot, 1 green onion finely chopped, 2 tbsp white miso paste, 1 tbsp soy sauce, 1 tbsp sake, 1 tbsp chicken broth, i tsp oyster sauce, 1 lb sliced Portobello mushroom, and finely chopped green onions for garnish, you will also need wooden skewers soaked in water. First, you'll heat the butter un a sauce pan over medium heat until melted. Add the garlic, shallot, and green onion and saute for 30 seconds until fragrant. Add the miso, soy sauce, sake, chicken broth, oyster sauce, and stir for 30 seconds. 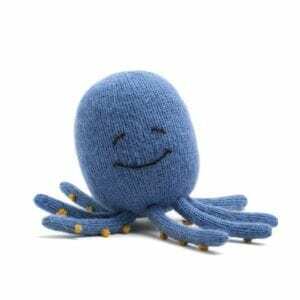 Remove from heat and allow to cool for 10 minutes. 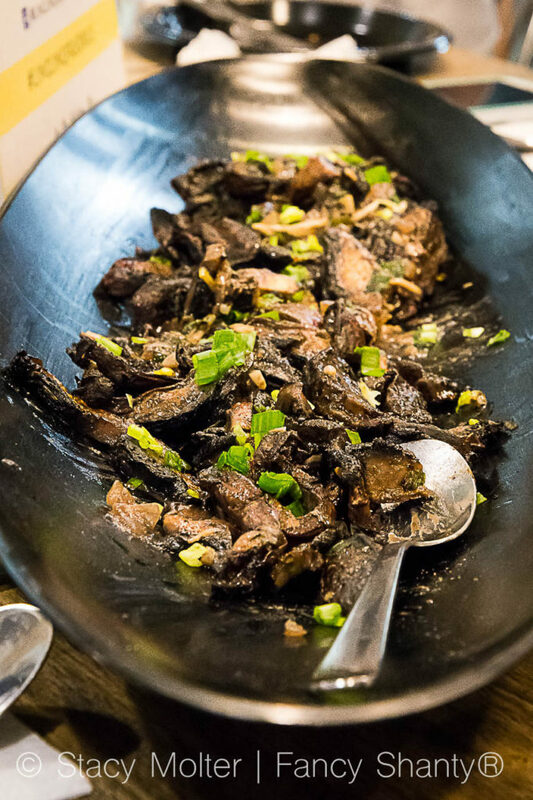 Transfer to a medium bowl and add the mushrooms to marinade for 30 minutes. 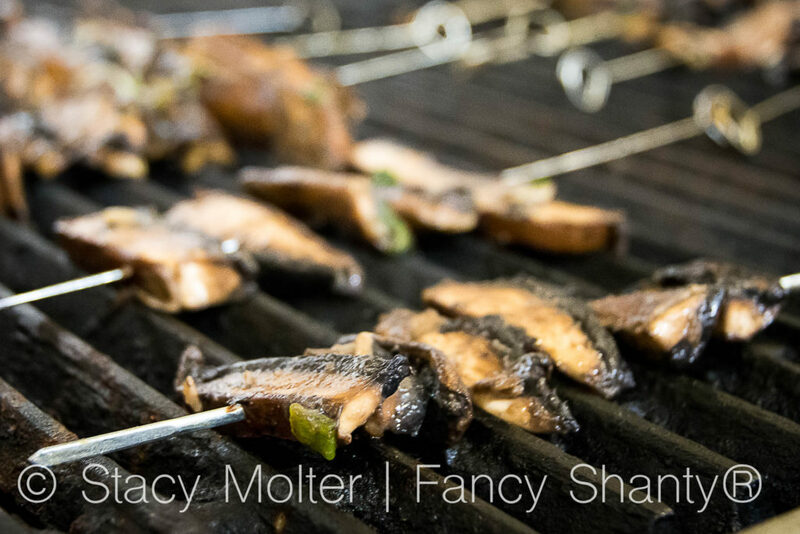 Skewer the mushrooms and grill over medium-high heat until just tender and slightly charred, 2-3 minutes per side, while continuing to brush with marinade. 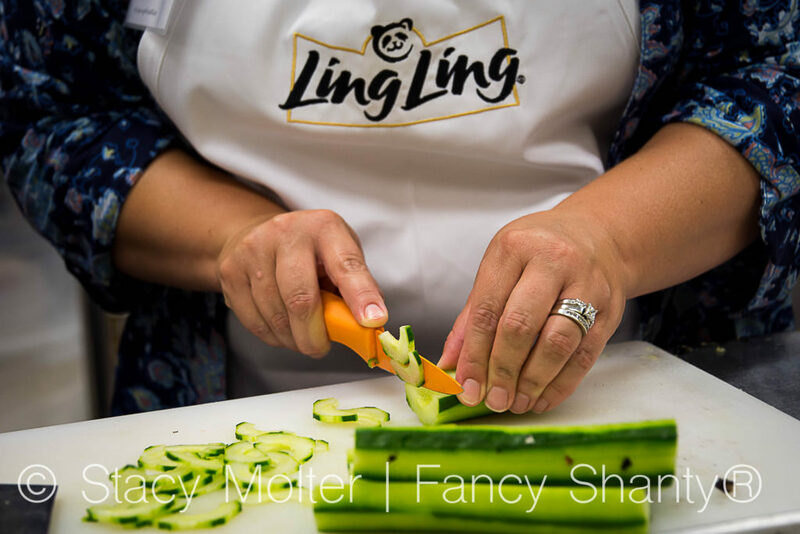 Garnish with green onions and serve immediately. 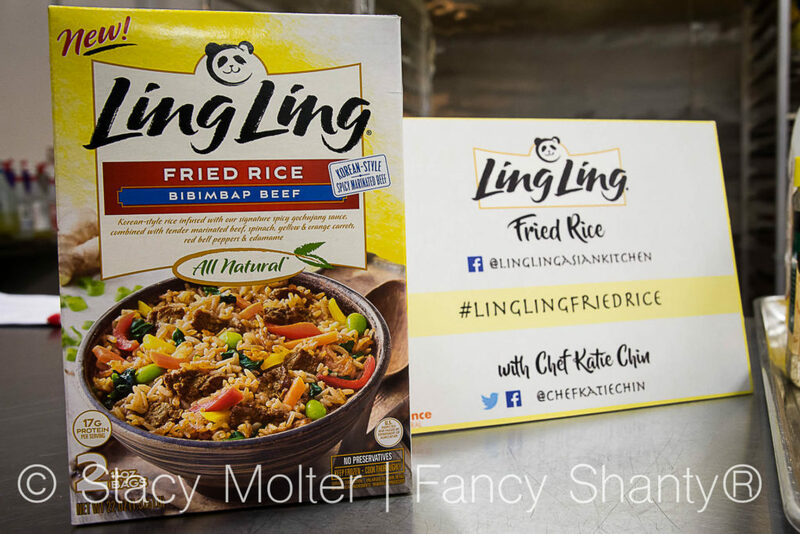 Of course, the meal wouldn't be complete without three of our favorite Ling Ling Fried Rice flavors. 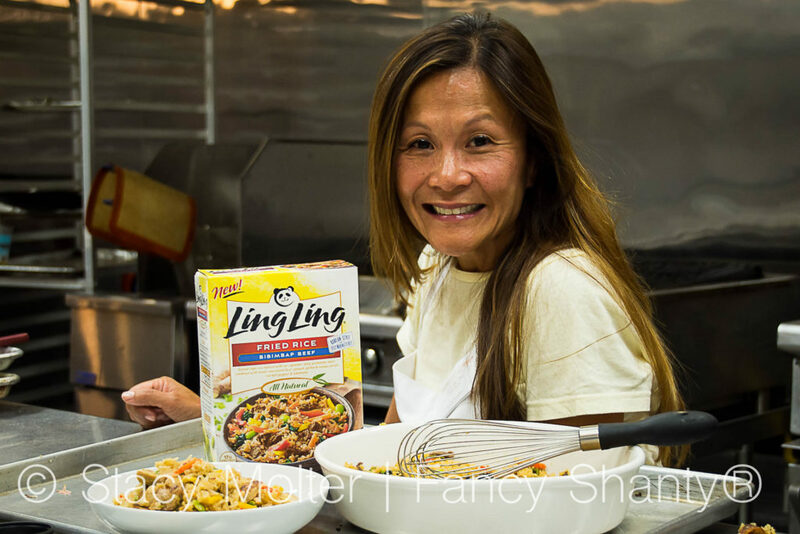 Easy to cook in just 8-15 minutes, Ling Ling Fried Rice is sure to be a favorite quick, budget friendly meal in your house. 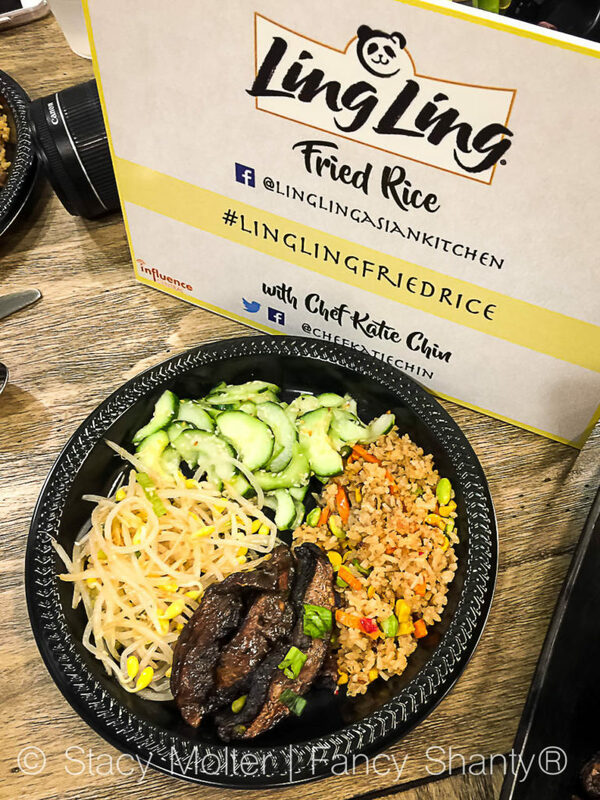 For this event, we prepared and sampled the Yakitori Chicken, Bibimbap Beef, Chinese-Style Vegetable flavors of Ling Ling Fried Rice which paired perfectly with our side dishes above. Next up was my favorite time of the night, dinner time. 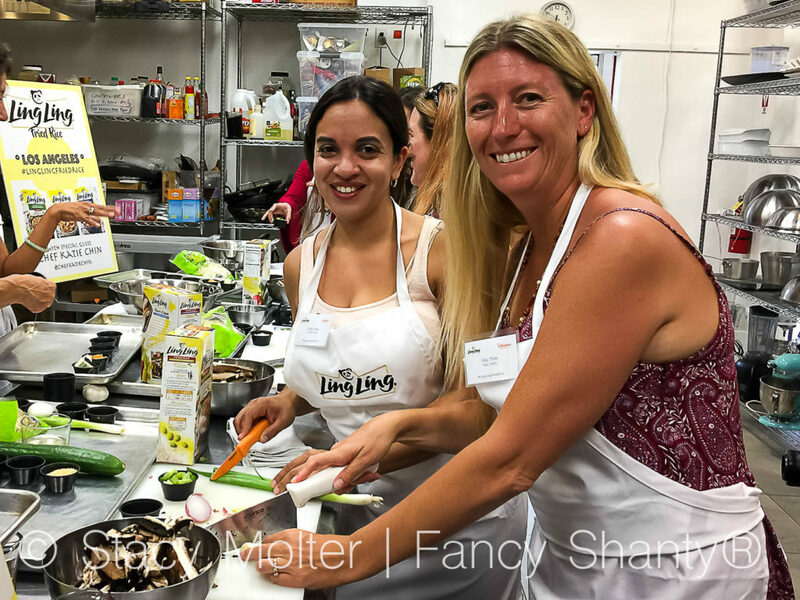 My personal favorite recipes of the night were the Chinese-Style Vegetable Ling Ling Fried Rice paired with the Miso Butter Portobello Mushroom Skewers. 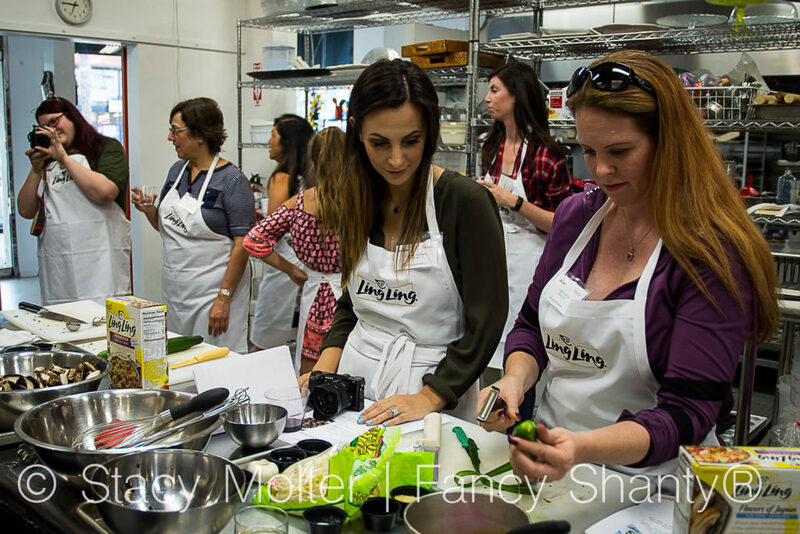 Both recipes have that rich earthy flavor I love in any dish I eat. 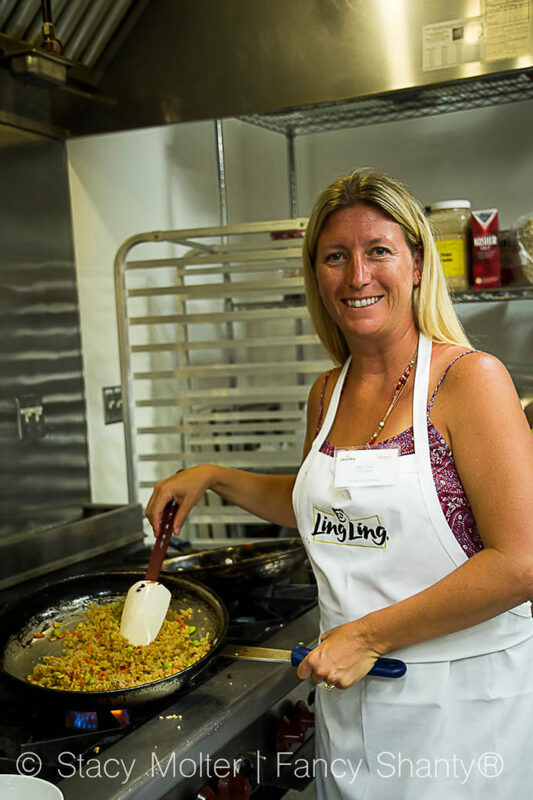 Thank you to Chef Katie Chin for the delicious recipes to pair with our favorite Ling Ling Fried Rice flavors. 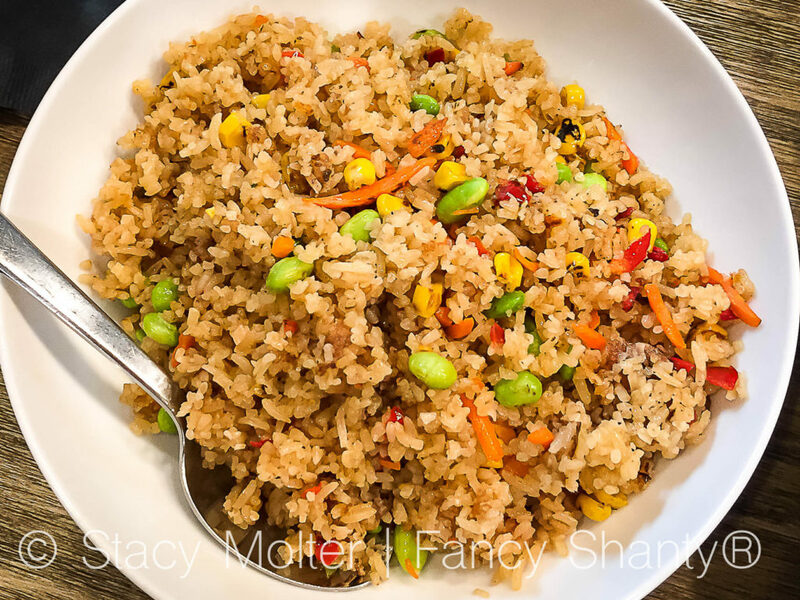 Have you tried any of the healthy Asian recipes above? 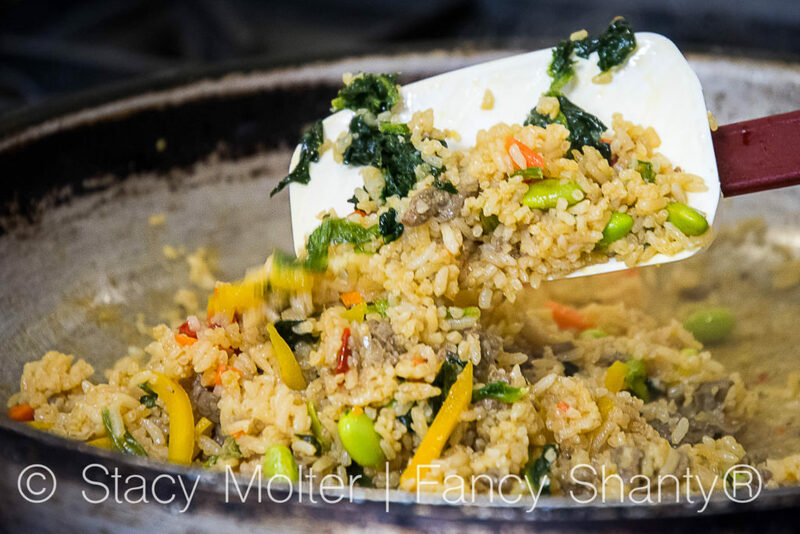 What is your favorite heathy Asian recipe to make at home?